In last week’s blog I alluded to my obsession with cows and I promised to write on this topic at a later date. My original intention was to wait until summer, which is the appropriate cow season, but because of a myriad of requests from cow aficionados I feel pressured to address this topic immediately! Shortly after I was weaned from my mother’s milk, (a figurative expression), and converted to cow’s milk, I was thrilled when our family embarked on drives into the country where I could glimpse cows grazing. 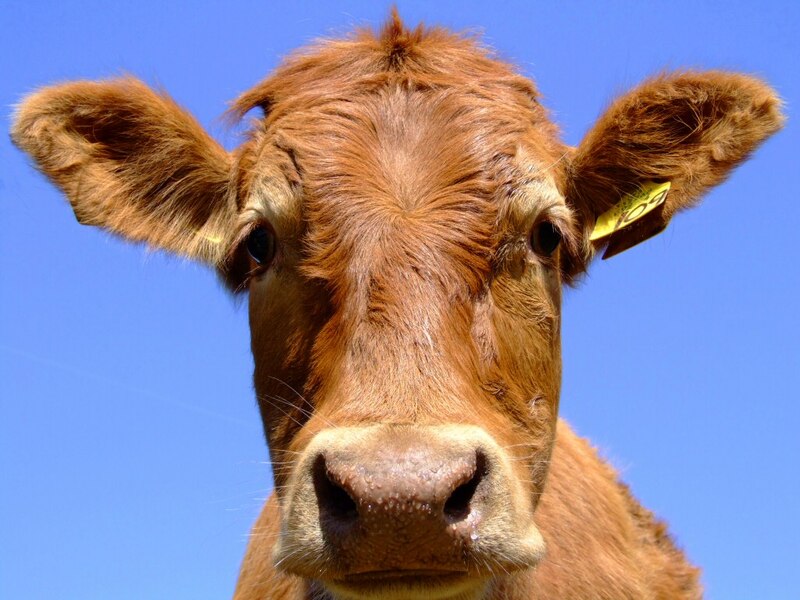 In later years, when I went through a battery of psychological tests to discover an eventual career, the results were: “You want to be either a social worker or a farmer.” Since social work with a cow seemed a rather odd combination I reflected on how I could reconcile these extremes. I never arrived at a satisfactory solution, however this potential conflict did not influence my relationship with cows and therefore I wish to share an event that occurred when I was only a youngster and my father was driving me to summer camp at Brant Lake. In those days the trip from Albany to Brant Lake was more than a four hour drive on Route 9. I found the journey quite boring so my father invented a game to make the time pass. Aware of my fascination with cows, the game played out as follows: my father drove, (since I was only eight years old), and I sat in the passenger’s seat. Whenever we passed by a meadow filled with cows on my side of the road my challenge was to count, as quickly as possible, the number of cows in the field before the cows were out of sight. Of course, since my father was driving 40 miles an hour, speed in counting was of the essence. In contrast, if the cows were grazing on my father’s side he would count. 30 miles into the journey I had surged into the lead. Then it happened. My father arrived at a giant herd of Guernseys off to the left. Since these fell into his domain, I could only watch with envy. “Go faster!” I shouted, hoping to cut the count short. But instead, my father stepped on the brake and stopped next to the fence—his cows in full view. Beaming, he leisurely counted cows to his heart’s content. Soon, he had not only surpassed my number but he had an insurmountable lead and easily won the game. I assume there will be those who will read this story and explode with anger at my father’s actions. Child abuse! Child abuse! But I believe my father, who was a noble man, only wanted to teach me one of life’s most important lessons; namely, in life you should always be in the driver’s seat. That is where challenges are won. And, when I finally acquired a driver’s license, I immediately invited my father to join me in the car, but this time I would be the driver and reap revenge. Unfortunately, my father refused to accompany me and reminded me we that we were too old to play childish games. A second momentous lesson of life: Even if you cannot be in the drivers seat, relinquish thoughts of revenge against those who are—which does not mean you have to cowtow to anyone! May 7, 2017 in Brant Lake.